A special Carrera set to announce today! 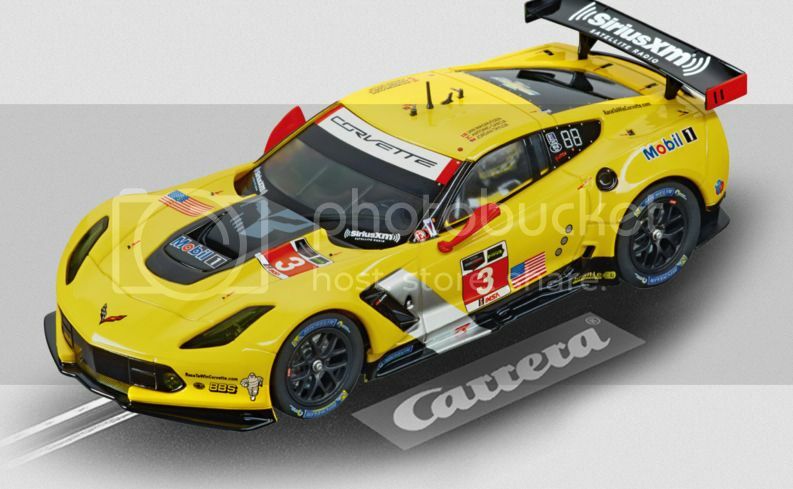 The #30186 Corvette Race set is the first Carrera Corvette set we’ve offered. 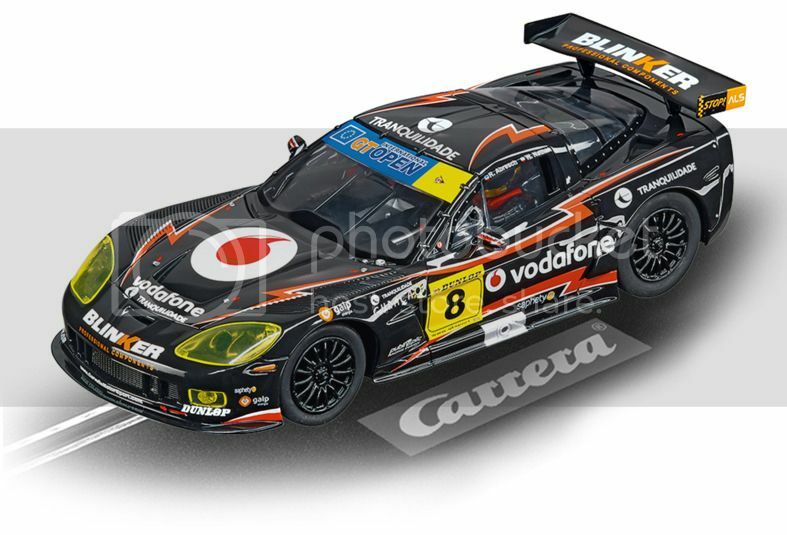 It will feature the C6.R and C7.R racing cars together in one set! 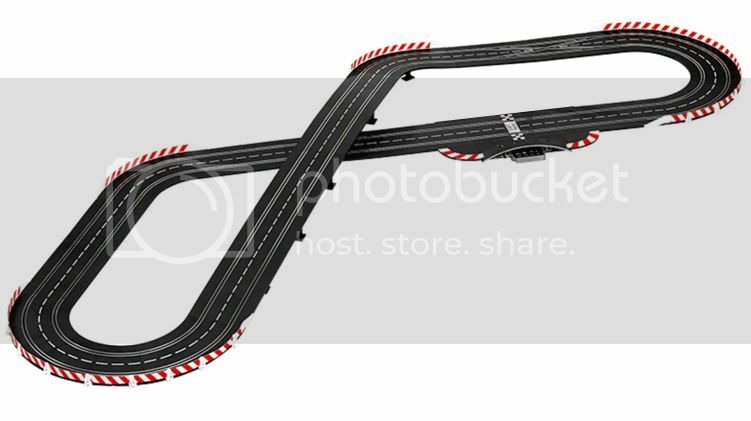 This set will have 2 wired controllers, the Control Unit and nearly 25 feet of track. The set will be available in the 4th quarter (we’re estimating late October, but until it’s on the water of course we cannot say exactly the arrival date). 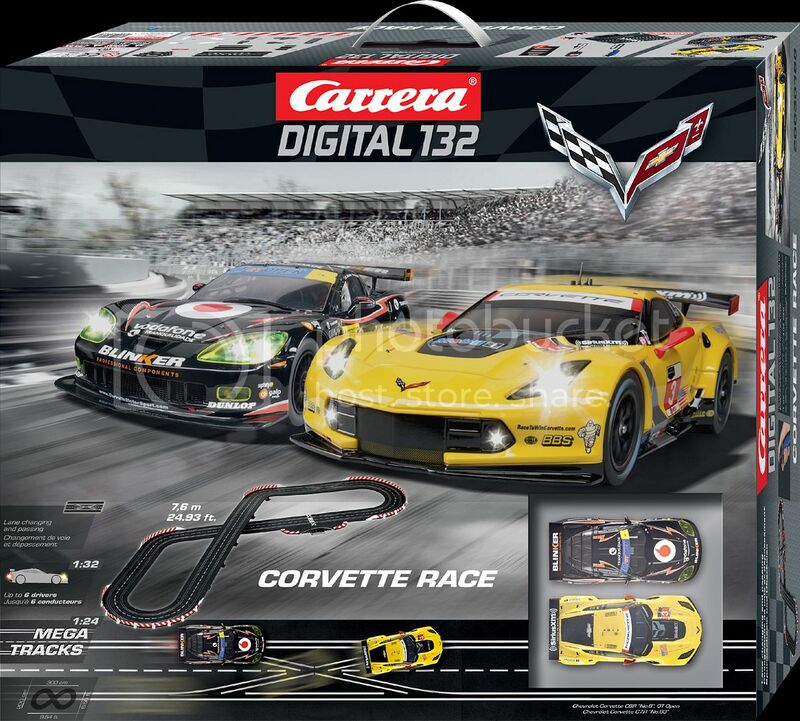 Images here are of the box art, cars and track layout for this US exclusive set. Those corvettes run awesome out of the box as well. They're my favorite IROC cars and I have to add the new yellow one to my lineup! When I have friends over who aren't serious slotters I get out my Carrera modern GT cars and select my white Corvette to drive. Even the serious slotters have been seen driving these. Last edited by Modlerbob; 07-27-2015, 12:21 PM.